Situated in the heart of the Alps, in the Sybelles region, Saint Jean d'Arves offers breathtaking and beautiful landscapes which benefit from an exceptional climate. 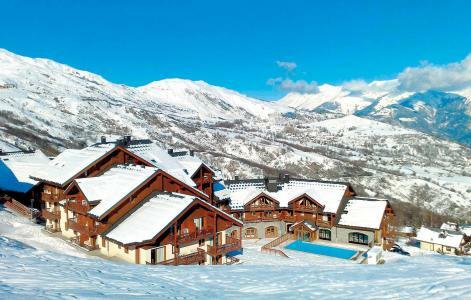 Saint Jean d'Arves combines the charm of a traditional village with the enjoyment of winter sports. The location is renowned for its pure air and its calm and relaxing atmosphere. The mountain walks and excursions will allow you to discover the alpine scenery. 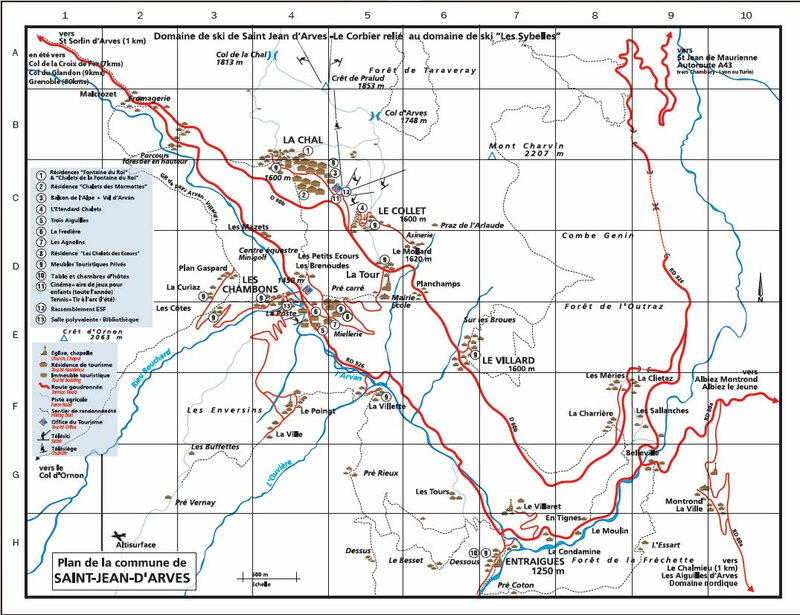 Saint Jean d'Arves is located at the foot of the ski slopes. 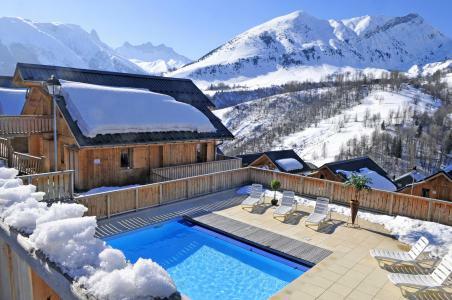 La Fontaine du Roi is a Three Star holiday residence which is comprised of eight traditional south facing chalets, each with ten to fifteen apartments to accommodate between four and twelve people. The facilities include parking and television. On site there is a restaurant, a minimarket, and a bakery. Additionally the resort boasts an indoor heated swimming pool(12m x 6m) exclusively for guests. There is a lounge with bar and fireplace plus a choice of two saunas. Near the chalets are shops with adequate parking. The holiday residence Les Chalets des Ecourts is of high standard and its amenities, both inside and outside, are modern and authentic. 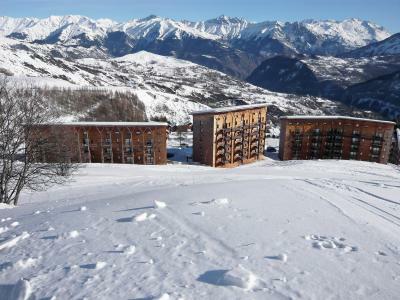 The residence in Saint Jean d'Arves, Alps, France comprises of 27 attractive small wooden chalets (5 apartments available in each), some with lift and all are south facing. They are situated in Les Chambons, where the traditional savoyard village is located, and offer a few shops and 3 restaurants. 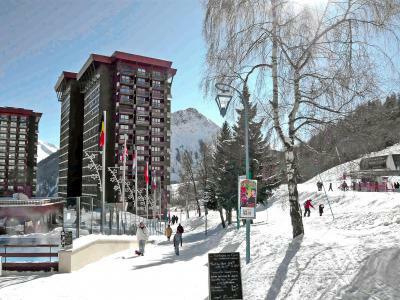 Additionally, it is ideally situated 1.5km from the district of La Chal where the ski lifts and most of the shops are. 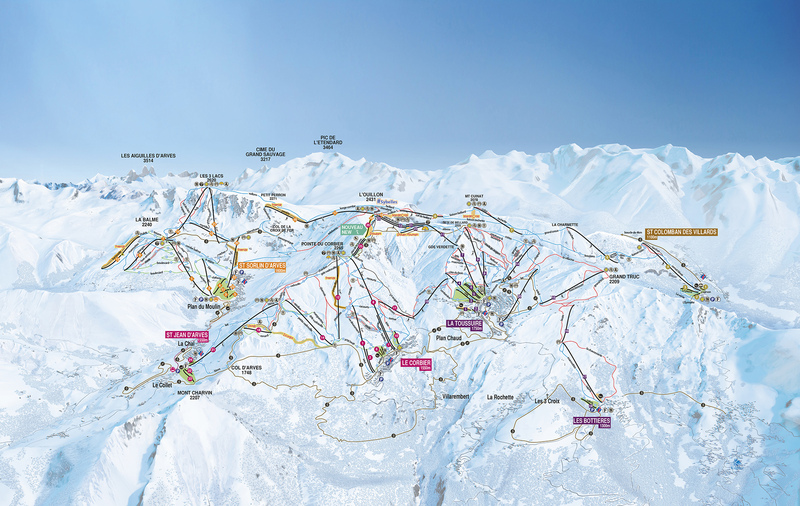 A free municipal shuttle to La Chal (ski lifts and shops) is available every day (except saturdays). It leaves outside the residence Les Chalets des Ecourts, Saint Jean d'Arves, Alps, France and runs every 15 minutes (hours: 8.45am - 12.15pm and 2.00pm - 5.30pm). The residence Les Alpages du Corbier****, comprises of 3 buildings and is situated 300m from the shops and 20m from the ski slopes. 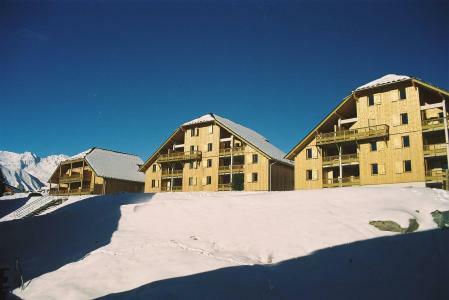 Most of the apartments in Les Alpages du Corbier, Le Corbier, Alps, France have a balcony. 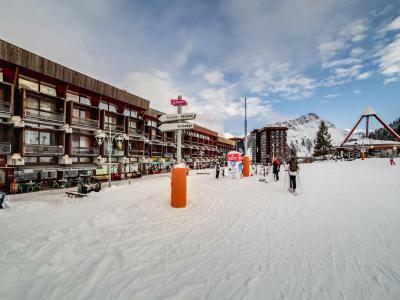 Its location and warm atmosphere gives the resort of Le Corbier a feeling of village life and in comparison its secure pedestrian and infrastructure makes it a modern location. Small apartment house "Pegase Phenix", 19 storeys. Below Corbier, 350 m from the centre, 150 m from the skiing area. In the complex: lift, storage room for skis. 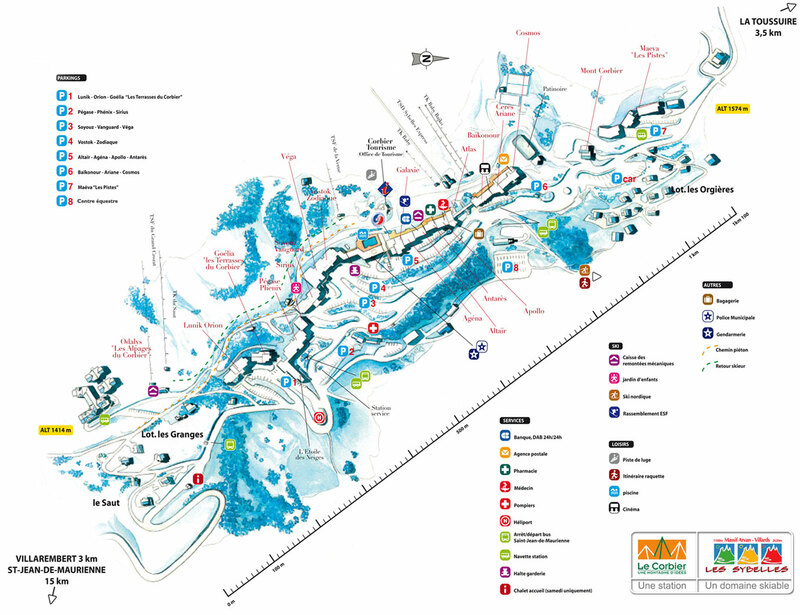 Public parking 50 m. Shop 350 m, grocery 50 m, restaurant, bar 350 m, bus stop 20 m, outdoor swimming pool 350 m. Ski lift, chair lift 150 m, ski school 350 m, ski-kindergarten 100 m, sled run 350 m. Please note: In case of good snow conditions, the house is accessible on skis. There are more similar properties for rent in this same residence.